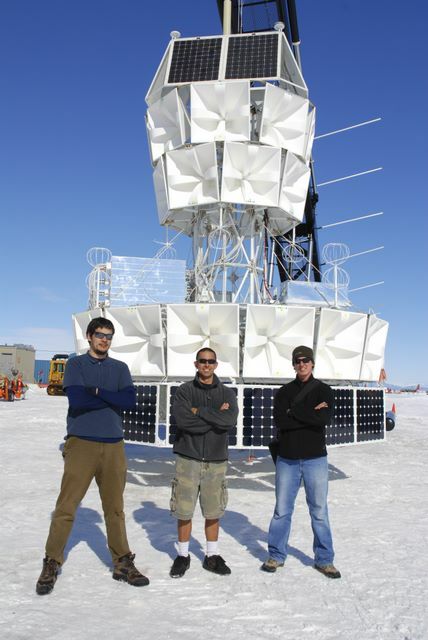 The first ANITA experiment was flown for ~35 days onboard a NASA LDB scientific balooon during the 2006-2007 Austral Summer from McMurdo Base, Antarctica. This prototype consisted of two radio antennas and electronics to amplify and digitize the radio signals picked up from the ice. ANITA-LITE gathered valuable information on the radio background that the full ANITA experiment will see in its flight currently scheduled for the 2006 Austral Summer. Mission operations are conducted by the Columbia Scientific Balloon Foundation (CSBF) a NASA agency which oversees the flying of large scientific balloons around the world. The first flight of ANITA was a success with complete payload and data recovery. During the time in Antarctica, Dr. Peter Gorham kept an online journal to record the happenings of launch preparation and operations in Antarctica. Below, you can read publications from the first ANITA experiment and view photos and other related information from ANITA.